Ed and Tom are at it again! 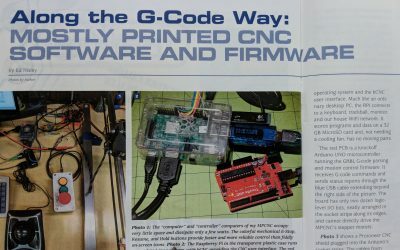 Three new articles pertaining to the Mostly Printed CNC, in two separate magazines.These guys have a passion for sharing, and I am just lucky enough to have them interested in my CNC platform. I absolutely love they way both of these gentleman don’t just color in the lines. These guys both have their own way of making something there own and carefully weighing the options. Once again fellas, thanks for adding some “trophy’s” to my wall and sharing your experiences with the world! 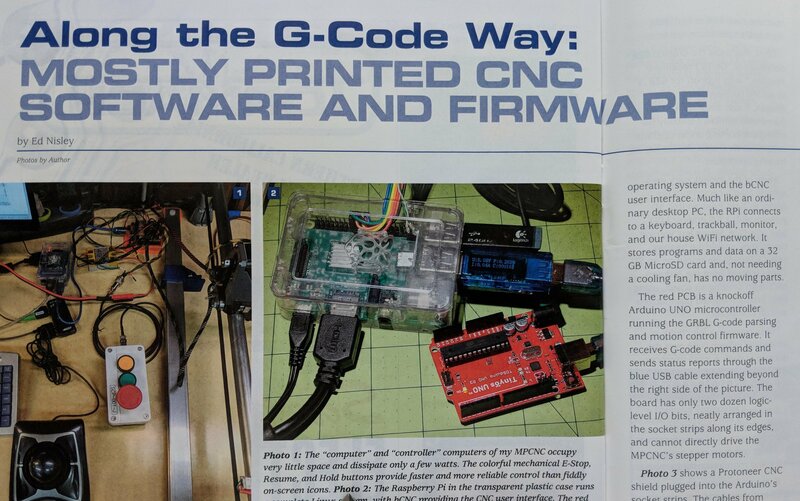 In Digital Machinist, the first Article is Ed Nisley’s ‘Along The G-Code Way: Mostly Printed CNC Software and Firmware’. Ed is taking his usual deep dive into the choices he has made. A few pages deeper into the same spring 2018 edition of Digital Machinist is the article by Tom Matukas ‘My Mostly Printed CNC: Making Progress!’. Tom gets into his mods and the trials and tribulations and success’ associated with them. 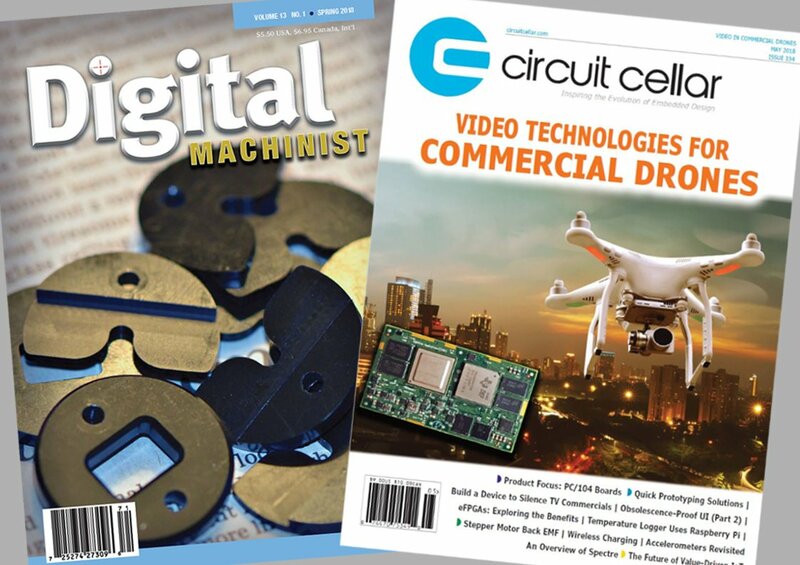 To round out the trifecta, we have the May 2018 issue of Circuit Cellar. Again, Ed Nisley takes a super deep dive into stepper guts with ‘Above The Ground Plane. 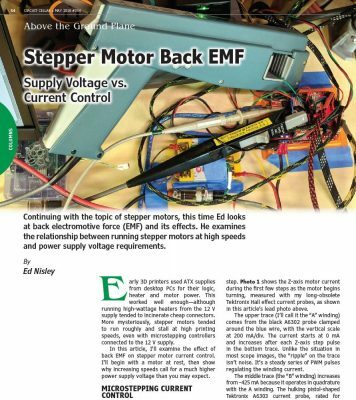 Stepper Motor Back EMF’. This is a little less MPCNC related but I think it counts and I learned a lot from it.